Tag Archives for " Independence "
Suppose that--during your peer review--it is determined your firm lacks independence in regard to a Yellow Book engagement. What could happen? Well, I can't say for sure, but I think it would be nasty. At a minimum, you would probably receive a finding for further consideration--or worse, a negative peer review report. The engagement is definitely nonconforming (not conforming to professional standards). Then, you'd need to provide a response--explaining what you intend to do about the lack of independence. And this could get very interesting. Not where you want to be. If you prepare financial statements (a nonattest service) for your audit client, you have a significant threat. Why? You are auditing something (the financial statements) that you created. There is a self-review threat. When there is a significant threat, you must use a safeguard (to lessen the threat). Such as? A second partner review. So, for example, you might have a second audit partner (someone not involved in the audit) review the financial statements. Since the second partner did not create the financial statement, the self-review threat is mitigated. Notice the safeguard (the second partner review) is something the audit firm does--and not an action of the audit client. Therefore, it qualifies as a safeguard. You've heard your audit client must have sufficient skill, knowledge and experience (SKE) and that they must oversee and assume responsibility for nonattest services. This is true and is always required when nonattest services are provided to an audit client. Even so, the client's SKE does not address the self-review threat. Think of the SKE issue as a minimum requirement. Do not pass "go" if the client does not assign someone (with SKE) to oversee the nonattest service. You are not independent. End of discussion. The January AICPA Reviewer Alert distinguishes the SKE requirement from safeguards saying, "Client SKE should not be viewed as a safeguard, but rather a mandatory condition before performing any nonaudit services." Once the client SKE issue is dealt with, consider if safeguards are necessary. If you are asked to prepare the financial statements, a second issue arises--the self-review threat. And this threat has to be addressed. A second review--whether a second partner review or an EQCR--is a good way to do so. Obtaining secondary reviews of the nonaudit services by professional personnel who were not involved in planning or supervising the audit engagement. Obtaining secondary reviews of the nonaudit services by professional personnel who were not members of the audit engagement team. See Appendix E of the AICPA Yellow Book Practice Aid for additional examples of safeguards and how to apply them. The Yellow Book requires that your independence be documented. If it is not, a violation of professional standards exists. So, document the SKE of the client and the safeguards used to address significant threats. Also, document which nonattest services are signficiant threats. The January 2019 Reviewer Alert (an AICPA newsletter provided to peer reviewers) provides a scenario where an audit firm performs a Yellow Book audit and prepares financial statements. Then the firm has an engagement quality control review (EQCR) performed, but it does not identify the preparation of financial statements as a significant threat. The newsletter states "the engagement would ordinarily be deemed nonconforming for failure to document identification of a significant threat." So, even if a safeguard (e.g., a second partner review) is in use, the lack of documentation makes the engagement nonconforming. Looking for a tool to document Yellow Book independence? Consider the AICPA's practice aid. Here is the free PDF version. You can also purchase the fillable version here. (Cost is $39 for AICPA members.) This is the 2011 Yellow Book aid. I am thinking the AICPA will create a 2018 Yellow Book version as well. Are you looking for free online resources for CPAs? You’ve come to the right place. What other online resources do you use as a CPA? Leave a comment. Uncollected Prior Year Fees: Can They Impair Your Independence? Can uncollected prior year fees impair your independence? Answer: It depends. If a covered member has unpaid fees from an attest client for any previously rendered professional service provided more than one year before the date of the current-year report, he is not independent. Threats to the covered member’s compliance with the “Independence Rule” would not be at an acceptable level and could not be reduced to an acceptable level by the application of safeguards if a covered member has unpaid fees from an attest client for any previously rendered professional service provided more than one year prior to the date of the current-year report (my bold). Accordingly, independence would be impaired. Unpaid fees include fees that are unbilled or a note receivable arising from such fees. The picture is courtesy of DollarPhotoClub.com. Note that the rule states that independence is impaired if a covered member has unpaid fees from an attest client for any previously rendered professional service. Impairment exists when any prior year fee has not been paid, including tax or consulting work. The CPA provided tax services to ABC Company on April 25, 2015. The CPA billed for the tax services on June 1, 2015. ABC Company needs an audit report with a May 15, 2016, date. ABC Company has not paid the June 1, 2015, bill. Is the CPA independent? If the audit report is dated May 15, 2016, the CPA is not independent. Why? If we look back one year from the report date of May 15, 2016, we see that the April 25, 2015 work has not been paid. So an unpaid service for more than one year before the report date exists. If the CPA issues the May 15, 2016 report, he is in violation of the Code of Conduct. How do you cure the independence impairment? ABC Company has to pay for the April 25, 2015 service. 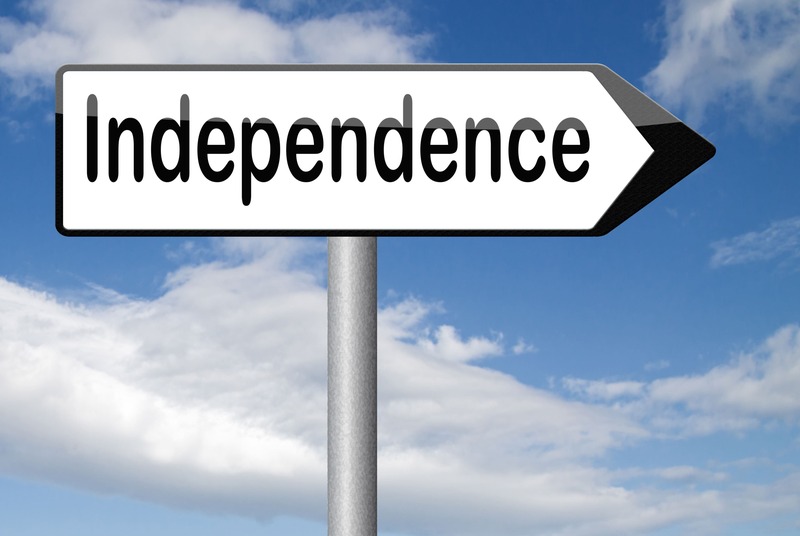 Oddly, the potential impairment of independence may assist you in collecting past-due accounts. If the client needs the current year audit report, and the CPA can’t provide it to him without payment for the prior-year work, then the client may be willing to come up with the money. The AICPA provides online access to the Code of Conduct. You can also download a PDF copy here (this PDF covers all standards issued through August 31, 2016). Online access is free, and users are able to save searches and bookmark content. The Code includes a threats and safeguards framework. CPAs should identify threats and then consider safeguards to mitigate those threats. The CPAs can proceed with the engagement if threats–after considering safeguards–are at an acceptance level. As the Quality Control partner for our firm, I receive quite a few questions about ethical issues (mainly about independence). Nine out of ten times I find the answers to those questions in the AICPA’s Plain English Guide to Independence. I download this guide and keep it handy. When I need to research an issue, I open the document and perform word searches. If you aren’t already using this resource, I highly recommend it.